What do you need? How can we help? What can we do to make this a positive experience? 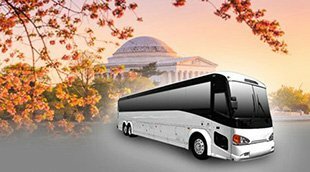 Those are questions we ask both our clients and ourselves when it comes to providing San Diego Coach Bus Service and a variety of other bus services to the San Diego area. We are an organized company who believe that you should never have to compromise safety and comfort. We want all of our riders to feel at ease knowing there is a skilled professional behind the wheel. That is why we offer exceptional chauffeurs who have demonstrated proficiency and consistent safe practices. Offering sound service is one thing, but we also are committed to arriving where you need us on-time and because of that we take many steps to ensure this happens each and every time. Offering San Diego Minibus Service for all events in and around the San Diego area we regularly provide excellent transit for conventions, hotels, airports, local businesses, and can even provide a San Diego Tours Bus. If you own a touring company, than you already know the amount of people who come to this hip and sophisticated city for the first time wanting to get a grip on the area and what it has to offer. We believe your customers will see the immaculate and welcoming difference when they ride in our tour buses, or rather, perhaps they won’t notice a thing at all—as that’s what comfort allows. The ability for one to enjoy the moment, not having to worry about dirty windows or a rude chauffeur. You can also be sure that we offer a Mini Bus Rental San Diego will absolutely love. If your business is in need of shuttling services, you can have peace of mind knowing our reliable drivers will provide friendly and dependable service for your place of business. Experience reliable service for less. High class luxury without the premium price. Short notice pickups, quick billing, exceptional and smooth rides 24/7.